Membership Matters - Audiobook | Listen Instantly! 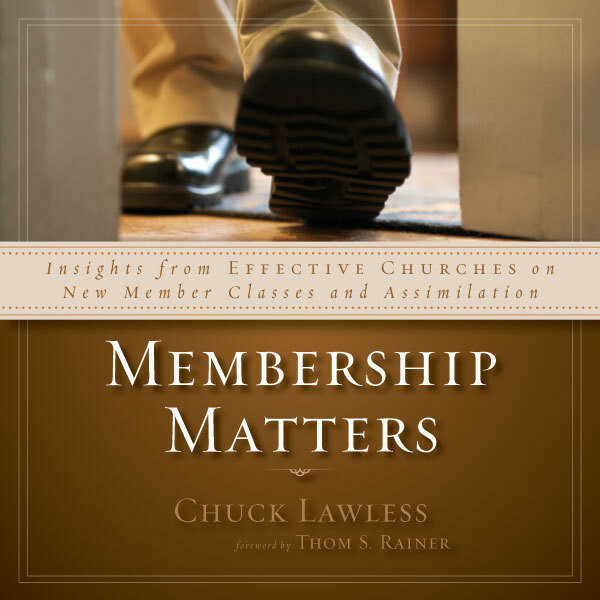 Insights from Effective Churches on New Member Classes and AssimilationFindings from a national study to improve membership classes and to motivate current members into active ministry.How do churches move members—both old and new—into ministry? Many church staff and lay leaders know they need to start new member classes as a point of entry into their churches but don’t know how. This book is based on a national study of effective churches and shows how growing churches implement new member classes and motivate their members into ministry.Membership Matters is designed to be a guide for church leaders wanting to start or improve a membership class. It includes models for classes and examples of resources such as church covenants, class schedules, and lesson outlines. It also gives direction on motivating uninvolved members to participate in ministry. One chapter chronicles an ongoing discussion among pastors of growing churches that are effectively motivating members to do ministry. Download and start listening now! Bill Hybels is the founding and senior pastor of Willow Creek Community Church in South Barrington, Illinois. Willow Creek’s pioneering ministries have made it one of the most attended churches in North America with an outreach that extends worldwide. Hybels has authored more than 20 books, including Fit to Be Tied, Rediscovering Church (with his wife Lynne), Too Busy Not to Pray, Courageous Leadership, Just Walk Across the Room, and Holy Discontent.